Autodesk is known for its CAD software. Less well known are its Media & Entertainment tools, which have been used in every Visual Effects Oscar-winning movie for the last 15 years. No matter which film walks away with the Oscar for Best Visual Effects on Sunday, one organization that has previously made Fast Company’s Most Innovative Companies list will be a clear winner: Autodesk. Every single movie nominated this year–from Alice in Wonderland to Harry Potter and the Deathly Hallows, Part 1, Herafter to Inception to Iron Man 2–used its software to craft some portion of their effects. And while Autodesk is best known for its architecture tools, less well known is its Media & Entertainment line of products, which are used to create effects in films, television, and video games. The tools are so well highly valued within the industry that they have been part of the toolbox used to construct scenes in every single film that has won Best Visual Effects at the Academy Awards in the last 15 years. Autodesk’s MotionBuilder, for example, was central to last year’s Avatar. 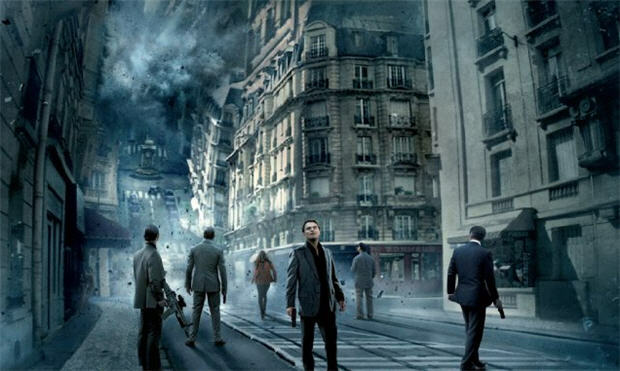 The tool was able to instantly transform the motion data it was capturing into an image of what the characters and scene would look like in the final film. So while Sam Worthington and Zoe Zaldana romped around the set in black suits and funny-looking headgear (see video, below), director James Cameron could watch a monitor where blue Na’vi characters were performing the scene against the Pandora landscape. That meant he could see the movie–in real-time–essentially as it was going to appear in its final form, and make any adjustments right there and then. Autodesk’s Maya was used to map Brad Pitt’s performance onto the older version of himself in 2008’s The Curious Case of Benjamin Button. MudBox, which was originally created by New Zealand’s Skymatter and later acquired by Autodesk, was used to sculpt the ape in 2005’s King Kong. And Maya was used as far back as 1997, in Titanic, to place virtual characters on top of the doomed ship as it sailed out of harbor. That film also used Inferno, a compositing software that allowed the filmmakers, for example, to add smoke to the Titanic’s smokestack and have it track tightly with the ship’s movement. Much of the core competency Autodesk brings to the table lies in developing complicated mathematical models of how objects look and behave in the real world, then baking that into the software, so that artists and designers can essentially push a button to run an algorithm and have the result applied to the element on screen–a much more sophisticated version of what happens when you apply an effect to an image in photo editing software. But he’s humble about the tools’ ultimate contribution to what viewers see at the movies.